The oldest publishing house in the world has bowed to pressure from the Chinese government, censoring academic sources related to Chinese history and the Tiananmen Square Massacre. Cambridge University Press's (CUP) China Quarterly journal has removed academic resources related to Tiananmen Square, the Cultural Revolution, Taiwan, and other topics at the Chinese government's request, according to an email that came to light Friday. The decision follows a series of crackdowns within China, and CUP is not the only organization to acquiesce to President Xi Jinping's promise to exercise Communist Party "guidance" over all media. "We can confirm that we received an instruction from a Chinese import agency to block individual articles from China Quarterly within China," CUP said in a statement following the internal email's release. "We complied with this initial request to remove individual articles, to ensure that other academic and educational materials we publish remain available to researchers and educators in this market." The publisher removed over 300 articles and over 1000 e-books, according to editor Tim Pringle. Members of the academic community were outraged at China's recent aggression, as the government has previously been more tolerant of academics. Quartz translated an online post from China Quarterly editorial board member and Ivy League professor Yang Guobin, who said the restrictions were "unheard of." "This is one of the most important international publications in contemporary Chinese studies, yet it’s subject to such restrictions," Guobin wrote. "This is unheard of. Isn’t the Chinese government trying to promote contemporary Chinese studies?" "This is unprecedented that the censorship has reached out to the academic sphere," Zhan Jiang, a professor at Beijing Foreign Studies University, told the New York Times. Others were less surprised, and said this sort of censorship should be expected. 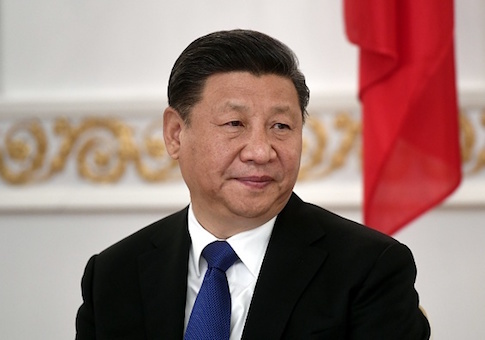 "Given Xi Jinping’s determination to reign in dissenting views in the information space, foreign publishers are misleading themselves if they believe they can escape pressure like that facing China Quarterly," said David Bandurski, co-director of the China Media Project. China has previously requested action from multinational corporations such as Apple to implement censorship. Apple purged virtual private networks, which allow free access to censored sites, from its app store. The action outraged many internet freedom advocates. CUP defended its move by saying that it will not change content to make it acceptable, and are committed to providing access to what China does not censor. "We will not change the nature of our publishing to make content acceptable in China, and we remain committed to ensuring that access to a wide variety of publishing is possible for academics, researchers, students and teachers in this market," the statement reads. The publishing house made it clear they will not be the driving force behind the censorship. "We do not, and will not, proactively censor our content and will only consider blocking individual items (when requested to do so) when the wider availability of content is at risk," the statement reads. The censorship appears to impact third-party sources as well, including academic database JSTOR. "It’s a real pity that as China goes out to the world, it is accompanied by restrictions on academic freedom," Pringle told the Times. Some in the West have praised the Chinese government's leadership on issues such as a climate change even as they have carried out free speech crackdowns. Democratic California Gov. Jerry Brown said earlier this month that the United States could learn from Xi's leadership. This entry was posted in Issues and tagged Censorship, China. Bookmark the permalink.